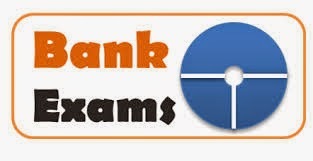 Banking Industry as a part of General Awareness section has been recently added for bank exam. It emphasizes on applicants’ knowledge of current affairs with special reference to banking industry. 1. Which of the following bodies tightened the norms for foreign exchange risk cover in India mentioning that only companies with a networth of Rs 200 crore can use derivatives to hedge against risk of volatility in currency rates? 2. Which body in India finally provided tax exemption on the 9.5 per cent interest income on PF deposits for 2010-11? 3. (1) The report on Customer Service in Banks by a committee chaired by M. Damodaran, former Chairman of the Securities and Exchange Board of India (SEBI) that was released on 3 July 2011 recommended an increased deposit insurance cover of Rs.5 lakh so as to encourage individuals to keep all their deposits in banks. (2) The panel also suggested blocking of lost ATM cards through SMS and immediate restoration of funds in case of non-dispensation of cash at an ATM within 5 working days. Which of the above is not true? 4. The Reserve Bank of India (RBI) in a bid to tame inflationary pressure hiked the short-term indicative policy rate (repo rate) by 50 basis points on 26 July 2011. The repo rate currently stands at what percentage? 5. Which bank posted a 99 per cent drop in net profit at Rs 21 crore for the fourth quarter ended 31 March 2011 against Rs 1867 crore during the corresponding period in 2010? 6. Who did global payments processing company MasterCard appoint as the General Manager, South Asia and Country President, India? 7. Government of India on 19 July 2011 appointed Usha Ananthasubramanian, former general manager of Bank of Baroda (BoB) as executive director of which public sector lender? 8. Name the public sector lender that selected Metlife as its partner for a proposed foray into the life insurance segment. 9. Which bank signed a memorandum of understanding with Dewan Housing Finance Corporation (DHFL) under which DHFL will distribute home loans to Yes Bank's customers? 10. Which life insurance company in India launched a new non-linked health insurance plan, Jeevan Arogya? c. IDBI Fortis Life Insurance Company Ltd.
11. Which of the following public sector banks in November 2011 froze its lending to the power sector? 12. Which Indian bank on 10 May 2011 raised benchmark prime lending rate 75 basis points to 14% following raising of interest rates by RBI by basis points on 3 May 2011? 13. The Reserve Bank of India on 26 April 2011 fined 19 banks, including the country's top private and foreign banks for violating its guidelines on derivatives. Which is the only public sector bank on the list of banks to be fined? 14. The Reserve Bank of India on 25 August 2011 released its Annual Report for 2010-11. Which of the following was not discussed in the Annual Report the Central Board of the RBI? 15. Reserve Bank of India (RBI) panel headed by headed by Usha Thorat, Director, Centre for Advanced Financial Research and Learning (CAFRAL) on 29 August 2011 came up with suggestion on non-banking finance company (NBFC). Which of the following related to this statement is not true? 2. Transfer of shareholding, direct or indirect, of 25 per cent and above, change in control, merger or acquisition of any registered NBFC will require prior approval of the Reserve Bank. 3. Tier-I capital for capital to risk weighted assets ratio (CRAR) purposes would be specified at 12 per cent to be achieved in three years for all registered deposit-taking and non-deposit-taking NBFCs. 16. Which Indian PSU bank in tune with its plans to expand its retail division in the UK entered the mortgage market in the country for the first time? 17. Which of the following banks set up two loan processing centres for the small and medium enterprise (SME) segment on a pilot basis in Bangalore & in New Delhi in September 2011? 18. The government suspended M Ramadoss for alleged violations in issuing insurance cover to an airline during his stint as head of another state-run insurer. To which insurance group did he belong to? 19. Which of the following banks in early May 2011 entered into a tie-up with non-banking finance companies such as Future Capital, Bajaj Finance, and Reliance Capital to grow its retail portfolio? 20. Which are the two Gujarat-based cooperative sector lenders on which Reserve bank of India imposed a financial penalty of Rs 1 lakh each for violation of various rules, including anti-money laundering guidelines?